1. Is this the right program for me? The JD Transcultural Studies is a research-oriented program, which aims at preparing students for a future career in academia. Students should also have a keen research interest in the regions of Europe and Asia. As such, the JD Transcultural Studies relies heavily on theory-driven work and only to a very limited extend on applied and/or practical sciences. For almost all courses, students are required to give oral presentations, write term papers and prepare extensive reading materials before class. In order to avoid misunderstandings or failed expectations, we would like to clearly state that the Joint Degree Master Program in Transcultural Studies is not concerned with studies in Intercultural Communication, International Relations and Diplomacy, all aspects of applied economics (such as banking, marketing, management and business administration), and interpreting. 2. How long is the JDTS Program? The study plan for the JDTS stipulates two years of studies (i.e., four semesters), in which students have to earn a total of at least 30 credits. 3. When does the JDTS start? In Kyoto, the JDTS only starts each spring term. You cannot begin your studies during the fall term. 4. Can I do part-time studies? No. The JDTS is a full-time study program (app. 40 hrs. of work per week), so part-time studies (including auditing, 大学院聴講生) are not possible. 5. Can I be accepted as a research student (研究生) in the JDTS? No. The JDTS only accepts full-time students who are working towards a diploma (the joint degree). If you study as a special auditor (特別聴講学生) in another major at the Graduate School of Letters, however, you may take courses in the CATS program. 6. Is it possible to choose a second subject in addition to Transcultural Studies? No. The JD Transcultural Studies is a 100% major program. 7. What courses are taught in the JDTS? For a complete list of course currently taught within the JDTS you can consult the universities’ online information systems (KULASIS in Kyoto, LSF in Heidelberg) and access a syllabus here. 8. Do I have to pay tuition fees? Yes. 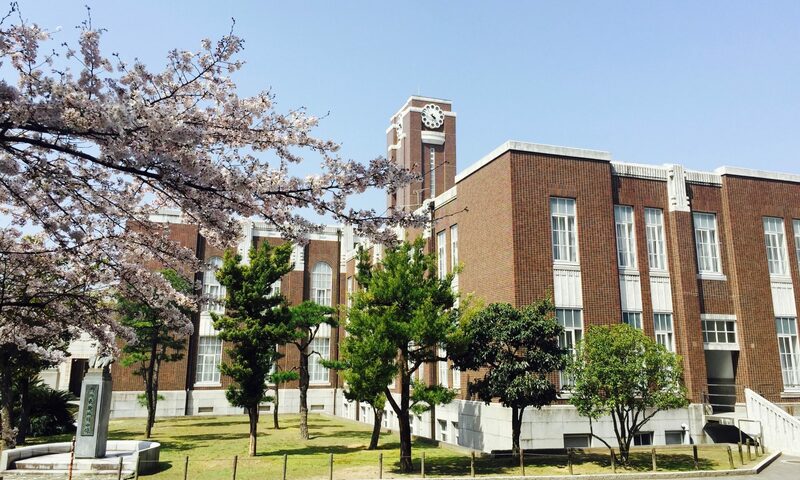 If Kyoto University is your home institution, you have to pay the regular tuition fees. However, you do not have to pay tuition fees at Heidelberg University. Still, an administrative fee is imposed in Heidelberg of currently 152,30 Euros per semester. 9. Are there scholarships available? Unfortunately, the JDTS cannot offer students scholarships for their time in Kyoto. However, the coordination office will assist you in acquiring a scholarship for your stay in Germany (e.g., via JASSO). 9. Am I eligible to apply to the JDTS? Generally, if you hold a B.A. degree from a relevant discipline of the humanities, cultural or social sciences and fulfill our formal admission and language requirements (see below for details) you can apply for a place in the JDTS. 10. Does my B.A. degree qualify as relevant? Our terms and regulations of admission require candidates to hold a B.A. degree in a discipline of the humanities, cultural or social sciences. However, our program is a research-oriented master, which means that your B.A. degree had to be research-oriented as well. Degrees in applied sciences like Business Administration, Management, Marketing, Communication etc. generally do not qualify as relevant degrees for our program. 11. What are the requirements for admission into the program? Please refer to our website for a detailed list of admission requirements. 12. I am a Japanese applicant, how do I apply for the program? Submit the application package by post during the application time frame in December to the Student Affairs Office of the Graduate School of Letters. 13. I am an international applicant, how do I apply for the program? All international applicants submit their application package by post the same way as Japanese students. Be aware that you have to contact the Student Affairs Office until November (see this note to international students) and that you have to be in Kyoto to take the entrance exam. 14. What documents do I have to provide for my application? Please refer to our website for a list of required documents. IMPORTANT NOTE: All official documents marked  have to be translated into English if they are in another language! 15. Where do I send my documents? IMPORTANT NOTE: Make sure to send your application at the right time! Applications arriving before or after the December time window will be automatically rejected! 16. I have not yet finished my B.A./received my diploma, what do I do? If you have not yet finished your degree or have not yet received your final diploma , you have to provide an official letter from your program coordinator, stating your current average grade and affirming that you are expected to finish your studies by the beginning of the spring term in Kyoto (keep in mind that you will have to present your final diploma upon enrollment at Kyoto University). 17. How do I prove my English skills / what language certificates do you accept? You do not have to prove your English language proficiency if a) English is your mother tongue or b) you have earned your B.A. degree from a university in an English-speaking country. In all other cases, you have to provide one of the certificates listed on our website. 18. How do I prove my skills in the additional two languages? Keep in mind that your mother tongue is counted as one of the additional two languages (unless it is English) and you do not have to provide proof for it. Official language tests are the easiest way to prove your proficiency level of at least B1 according to CEFR (e.g. TestDaf for German, DELF/DALF for French, JLPT for Japanese). We also accept certificates from respective language departments of your university or proof through your transcript in case language studies were part of your BA program (language course have to amount to 20% of your BA). Under certain circumstances, your High School diploma can also be accepted as proof (especially, if the language of instruction was not your mother tongue). IMPORTANT NOTE: We do not accept language certificates that are older than four years! 19. I am bilingual, do I still have to provide certificates for both languages? Applicants have to provide a certificate for at least one of the additional languages. 20. What is meant by “certified/notarized” copies? This means that you cannot include simple copies in your application package. All copies have to be officially sealed/stamped/signed by the competent authority of your country in order to proof that they are in accordance with the original documents. Please inform yourself about the official regulations for certifying/notarizing documents in your respective country! 21. Do I have to provide letters of reference? No. You do not have to provide letters of reference and the admission board is not taking any letters of reference in their consideration. 22. I do not fulfill all the requirements listed, can I apply anyway? Be advised that your chances of success are minimal to non-existent if you do not fulfill our formal admission requirements. However, you can always apply even if you do not fulfill all the requirements. 23. When should I submit my application? Is there a start date for submitting applications? See the official application time frame dates in December here (take into consideration the shipping duration of your respective postal services). Be aware that earlier submissions are not possible. 24. Why do I have to apply for another department and take its examination? The conferment of the joint degree is bound to earning at least 10 credits and spending a year at Heidelberg University. If a student does not fulfill these requirements, they still retain the right to an M.A. degree. In this case, the student would “fall back” to the major/department they originally applied for. Regardless, as the JDTS builds on your knowledge and skills acquired in your B.A., you will continue this line of study (e.g., philosophy, history, or sociology) from a transcultural perspective and your supervisor at Kyoto University will most likely come from the respective department. 25. When and where will the entrance examination take place? The examination is held from February 5 to 8, 2019, at the Faculty of Letters Building, Kyoto University (building No. 8 on the campus map). 26. Will I be notified when my application has been received? No. The Student Affairs Office does not send out confirmations upon receipt of applications but returns examination vouchers to applicants who have been accepted to take the entrance exam. Please also note that the JDTS coordination office cannot provide you with that information. If you want to make sure your application has reached Kyoto University, you should choose a posting method with which you can track your shipment. 27. How long does it take until I receive the result of my application? After the application deadline has passed, the Student Affairs Office sends out examination vouchers around January 22, 2019. Only if you have not received your voucher on January 28, 2019, you may enquire via telephone at +81-75-753-2710. The examination takes place from February 5, 2019, and you will receive your result in mid-February once the GSL admission board and the JDTS selection committee have evaluated your exam answers and letter of motivation. IMPORTANT NOTE: The JDTS coordination office cannot answer any questions pertaining to individual applications until all decisions have been finalized by the admission board! 28. How will I be notified about the result of my application? Official letters of admission or rejection are sent out by the Student Affairs Office by post in mid-February. Please be aware that only this official letter of admission is the legally relevant document, entitling you to enroll at Kyoto University.